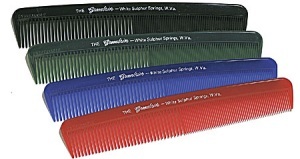 These inexpensive pocket combs are used by salons, barber shops, businesses and organizations with a custom imprinted message. 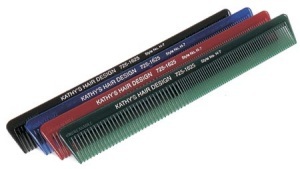 Advertising combs are offered at reduced pricing. These unbreakable pocket combs are made in the USA. 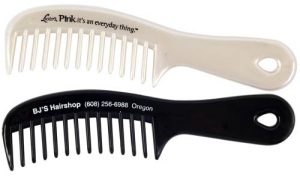 Every unbreakable ad comb has the mini word "unbreakable" molded into it. Imprint area is one line of text on one side, 40 letters and spaces for all combs except Salon Combs which is 30 letters and spaces.